Can these fitness trackers in 2019 earn a spot on your wrist? There’s that elephant in the room when you mention “fitness tracker” these days. A large number of luxury and mainstream smartwatches have entered the wearables market, many offering “Health” insights on top of some delicious designs. 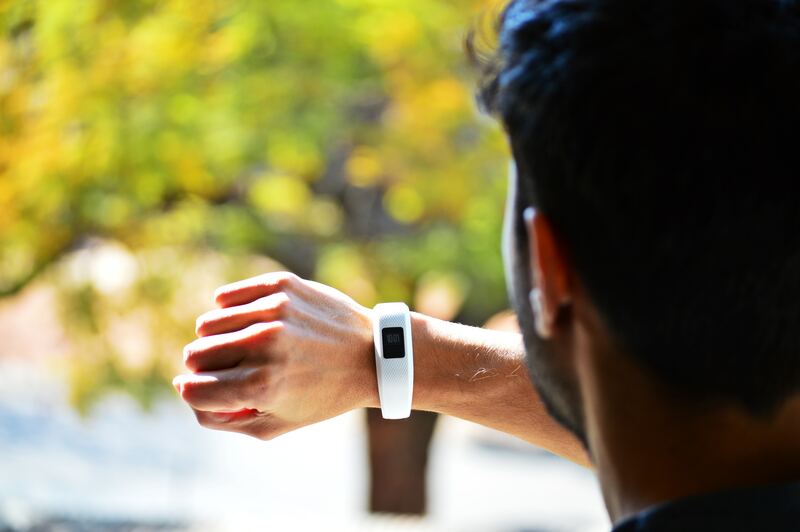 So what’s in a fitness tracker these days that could warrants a spot on your wrist? Read on. The earliest trackers were mostly blocky and spartan. Some didn’t even have faces – remember the popular Jawbones? Fast forward to 2019 and the unwieldly forms are now slick, polished devices with OLED touchscreens. They can also come with useful functions like NFC payment, meaning you’ll always have your credit card on your wrist. A prime example is the elegant Fitbit Charge 3 – which sheds non-essential functions like GPS tracking to shed weight and gain incredible battery life, while at the same time gaining about 40% more screen than previous iterations. New-age trackers come with a sensor that can actually track the levels of oxygen in your blood. This is still absent on almost all smartwatches. Combined with software and other hardware (such as accelerometers), this can actually help to analyse your level of athleticism, and chart your progress as you punch or spin your way through that latest gym routine. The Garmin VivoSmart 4 is one such lightweight example. Serious running nuts will want an activity-focused tracker like the Samsung Gear Fit 2 Pro, which comes with on-board GPS and Spotify so you can hit up the tarmac without a heavy smartphone strapped to the wrist. Samsung’s trackers are also praised as being the most versatile to pair, working with both both iOS and Android phones without a hitch. Turning the tables on smartwatches – why not? “Hybrid” trackers like Garmin’s VivoMove HR combine excellent build quality with all the regular tracking features. Others like innovative controls such as rotating bezels are also present on trackers these days – blurring the already fading line between smartwatch and tracker. One edge that trackers have that isn’t often spoken about- they can be a fraction of the price of a full-fledged smartwatch. It makes sense to get a somewhat dispensable companion if you’re going to be risking it on high-impact / vigorous activities such as squash or rowing. Not many of these compare to the feature-packed, under-S$50 XiaoMi Mi Band. It’s got heart rate tracking to go with a bare-bones screen, and a ridiculous battery life of more than a dozen days. Do note that the Band 4 is being released soon, however.